The increasing number of individuals with co-existing substance misuse and psychiatric disorders presents a key challenge to mental health and addiction nurses. This practice-based text focuses on the management and intervention strategies to effectively meet the needs of this client group in both community and residential settings. Hussein Rassool is Professor of Addiction and Mental Health, Department of Psychiatric Nursing and Human Sciences, University of Sao Paulo, Brazil, and author of previous texts on Addiction nursing, Dual diagnosis, and Substance use and abuse. Chapter 1: Understanding Dual Diagnosis: an Overview. Chapter 2: Policy Initiatives in Substance Misuse and Mental Health: Implications for Practice. Chapter 3: Understanding Drug Use and Misuse. Chapter 4: Psychoactive Substances and their Effects. Chapter 5: Mental Health: an Introduction. Chapter 6: Alcohol and Dual Diagnosis. Chapter 7: Eating Disorders and Dual Diagnosis. Chapter 8: Problem Drug Use and Personality Disorders. Chapter 9: Black and Ethnic Minority Communities: Substance Misuse and Mental Health: Whose Problems Anyway?. Chapter 10: Vulnerable Young People and Substance Misuse. Chapter 11: Meeting Multiple Needs: Pregnancy, Parenting and Dual Diagnosis. Part 3 Context and Approaches. Chapter 12: Addiction and Mental Health Nursing: a Synthesis of Role and Care in the Community. Chapter 13: Shared Care and Inter-professional Practice. Chapter 14: Primary Care and Dual Diagnosis. 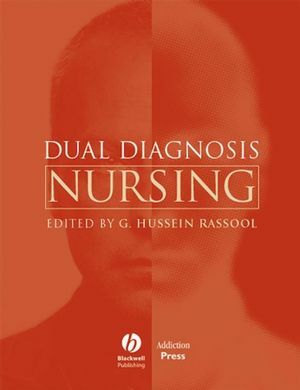 Chapter 15: Dual Diagnosis in Acute In-patient Settings. Chapter 16: Dual Diagnosis in a Forensic Setting. Chapter 17: Models of Care and Dual Diagnosis. Part 4 Interventions and Treatment Strategy. Chapter 18: Framework for Multidimensional Assessment. Chapter 19: Dealing with Intoxication, Overdose, Withdrawal and Detoxification: Nursing Assessment and Interventions. Chapter 20: Prescribing Authority and Medication Management in Mental Health and Addiction Nursing. Chapter 21: Spiritual and Cultural Needs: Integration in Dual Diagnosis Care. Chapter 22: Dual Diagnosis: Interventions with Carers. Chapter 23: Psychological Approaches in the Treatment of Dual Diagnosis. Chapter 24: A Person Centred Approach to Understanding and Helping People with a Dual Diagnosis. Chapter 26: Relapse Prevention in Dual Diagnosis. Chapter 27: Educational Development and Clinical Supervision. "This is the most comprehensive dual diagnosis textbook I've read. Two things in particular appealed to me. Firstly, it is set out for easy reference in five parts... The second thing that struck me as valuable is the way the book has something for everyone. 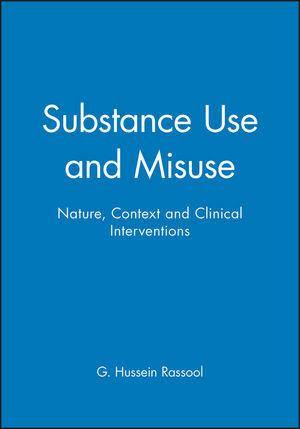 General substance misuse staff and those in mental health will derive great benefit from the book. If you're a specialist in dual diagnosis, I think you will too. It may be short in detail for some readers but as an overview of the subject, for students and qualified alike, it delivers."